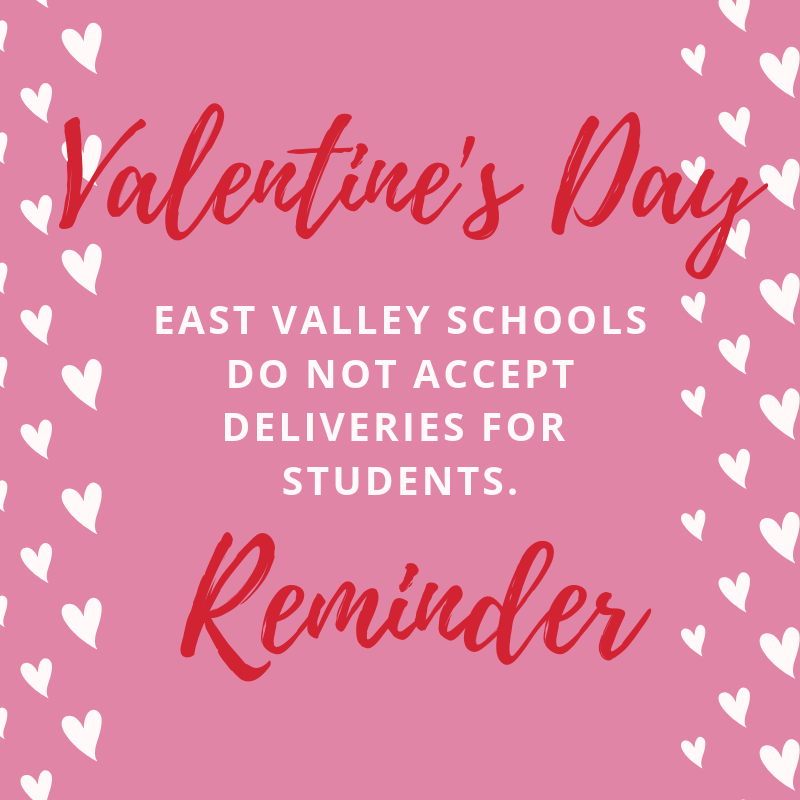 With Valentine's Day just around the corner, we'd like to remind our families that the East Valley School District has a NO DELIVERY POLICY. 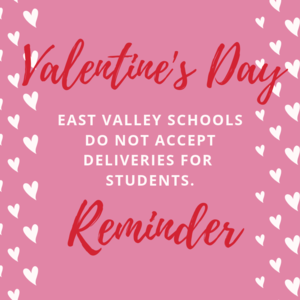 While we understand that families and friends get excited to show their students a little extra love on this special day, we ask that you allow this celebration to occur outside of the school day. We have made this decision due to the drastic increase of deliveries and lack of space to store the gifts. These deliveries not only disrupt the function of our main offices, but also the academic day of our students and can also cause potential safety hazards on our school buses. We thank you for your understanding and cooperation in keeping our schools a safe learning environment for our students.